Writing this site has led me to a whole slew of fascinating places. Some have been hidden off in the woods and some have been in the dingy bowels of churches. The Windmill in Stratford, however, stands alone. I loved it – really and truly – but that doesn’t make it any less, um, odd. In fact, I would go back any time I’m in the area and either hungry or thirsty. 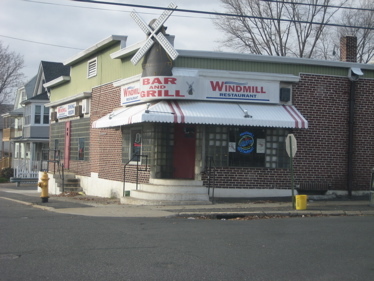 Of all the 60+ recommendations in the Sterns’ 500 Things to Eat Before It’s Too Late list, I’m comfortable saying that the Windmill is probably one of the few that certainly qualify as a straight up dive bar. Well, now that I think of it, Colony Grill in Stamford is a dive bar too, but there were a bunch of young and attractive people there when I went. At the Windmill? Not so much – BUT, I thought the food at the Windmill was far superior to that of Colony AND the staff and patrons were ten times nicer. 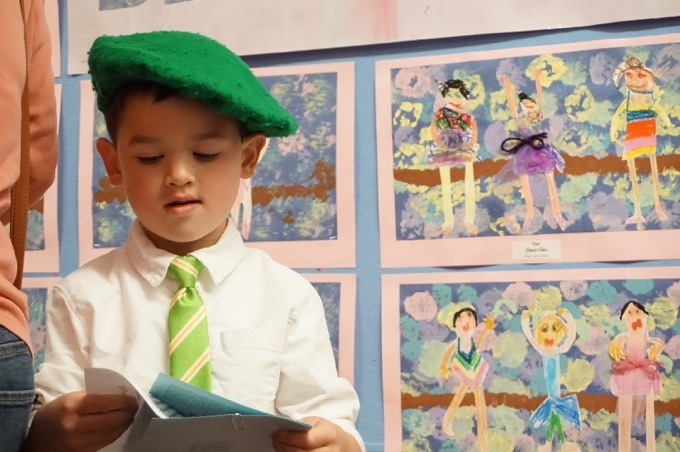 Chalk that up to blue-collar neighborhood people versus Stamford snobs and hipsters. Before spending an afternoon up in New Haven, I drove further south down to Stratford for lunch. It was a Sunday in December, so I was happy to go and have lunch and a beer while watching football. Once off of I-95 and snaking my way along the train tracks in Stratford, I found my way to the Windmill. It’s smack dab in the middle of a working class diverse neighborhood on a corner next to a bunch of residences. In other words, my kind of bar. They probably serve short beers too, something I love. There is some debate among Windmill’s most devoted culinary fans as to whether it’s better to dine mid-day or late-night. The decision is based on the condition of the hot dogs on the grill. Some people believe they are plumper, juicier, and better early in the day. Others contend that it’s the all-day slow-sizzle that gives these hot dogs their special character, which is attained only by the start of cocktail hour. The truth is that great numbers of regular customers of the Windmill pay no attention to the status of the hot dogs. 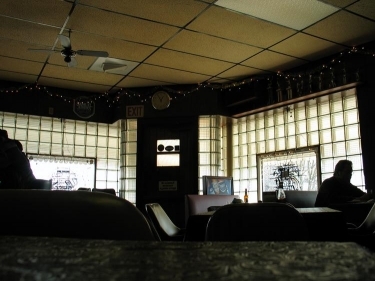 Many people come to this 1930s-era bar not to eat, but for a friendly beer and a game of pool at the table in back, or maybe to listen to music in the adjoining room with its small bandstand. The nostalgia quotient at the Windmill is immense. During the day, light filters in through glass brick windows that suffuse the rooms with the magic glow of a neighborhood corner tavern that looks impervious to modern life. 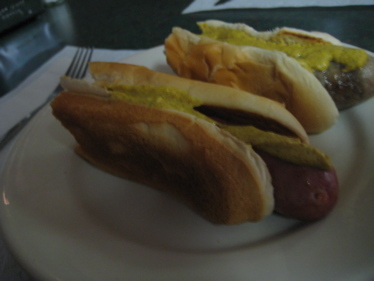 While some folks come to eat such excellent hot-lunch specials as pot roast, stuffed cabbage, meat loaf, and wiener schnitzel, those of us who are hot dog connoisseurs come strictly for Windmill hot dogs. They are spicy dogs that get nestled in big soft buns under a load of sauerkraut, onions, and delightfully pickly chili; and they are modest-sized enough that three make a fine lunch, with a couple of glasses of draught beer. The way you get your dogs is to step up to the hot-dog counter towards the back of the restaurant at the far end of the bar. There, you tell Rudy, the boss, what you want. Rudy is a tall, quiet grill maestro who manage to keep the folks at the bar happy as well as tend the hot dogs (and the larger bratwursts and kielbasas). This is a man who can put one in a bun and dress it with the aplomb of Bob Mackey dressing a superstar for Oscar night. It seems that just about any time of day, locals are gathered at the Windmill bar, eating and/or drinking, but always palavering. Did Stern just use the world “palavering?” Impressive. Almost as impressive as his appetite for hot dogs, as there are something like 14 to eat on the “Before you die” list. In this case, I went by the Sterns’ book blurb that merely suggested the Windmill “for its brats and kielbasa.” In an effort to spice up my overly hot doggy list, I went of those two suggestions. I know I had bratwurst once – in 1987 at old County Stadium in Milwaukee when my parents let me fly out there to see a good friend who moved away on me in 7th grade. The funny thing is, here I am a few weeks after my Windmill lunch and really have no idea which one was a brat and which was a kielbasa. But before we get to them, let’s talk about the ambiance… I was most definitely a fish out of water early on a Sunday afternoon. The bar was filled with local regulars who sized me up as I ordered a light beer and asked for a menu. No one at that bar needs a menu. (I was hoping for a brat vs. kielbasa explanation on there more than anything.) The bartender was super-nice and eager to explain the grill situation – I was lucky, it had just been fired up and was ready to go. I met the aforementioned Rudy, who though a bit slow in his step, was quick to say hello and explain that I’d be getting 1.5 of each sausage because his meat supplier was making them too short. Like I said, the Windmill is great. I sat at the bar and listened to the banter of the locals. They made fun of each other a lot and talked about life as a part of the Boilermakers Local 237 union. It was just like that bar down by the piers on the second season of The Wire. (Hopefully without all the corruption and murder and stuff.) Anyway, while I listened and waited, I read the bar menu. Handwritten, it contained such things as “O’Dual’s,” “Ginness draught,” and “Smirinoff.” I was afraid to take a picture though. The bar also had pretty much exclusively 1.75 liter liquor bottles. I thought that was illegal in Connecticut, but I guess not. Ahh, my food is ready. I moved to a table – the Windmill has plenty of tables, booths and even a separate dining room to dine alone. I got my sausages plain with nothing but mustard on them. And like I said, I had no idea which was the brat and which was the kielbasa. It’s a wonder the Germans ever mustered the energy to invade Poland with the amount of fat they pack into their sausage staple: the Bratwurst has more artery-clogging stats than any other finalist, compared to the heavenly Kielbasa with virtually half the saturates as it’s made from the finest pork paunches. “But the Bratwurst’s also rich in digestion-boosting ginger and nutmeg,” says Peacock. So at least you’ll keep it down. Really, it was. Now, the bar only had two small TV’s at either end of the rather large room, both tuned to a NY Giants game. 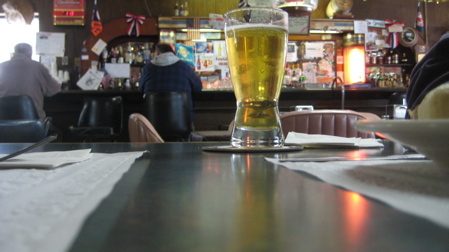 During my lunch, some very strange woman of indeterminate ethnicity stumbled into the bar, gave all the locals kisses and slurred about some nonsense for far too long. But that’s the charm of the Windmill; I felt safe and secure there, like a warm cheap-beer-soaked cocoon. And the sausages were excellent. Really and truly. Long live dive bars that serve decent food! If you want to try genuine kielbasa, you need to head to Filipek’s Kielbasa at 262 Elm Street in Meriden, CT. My mom grew up in Meriden, and her family has been buying kielbasa at this store for 60+ years. Wonderful site by the way. Stumbled on it by accident sitting in my living room outside of Washington, DC, and love it! grew up down the sreet used to skip school with me brother and hang out at the mill i have been drunk in there a couple of hundred times . have not been there in years probably would never go back……lots of good times there!!!!! i use to work at the wind mill about 3 years ago it the best bar .grill around it just got sold tho but new owner is fixen it up its still going to be the wind mill and same food realy is sad to see old owner lose what he worked hard 4 he was a verry nice guy he spent his whole life thea 4 over 50 years but just happy to hear its still goinfgto be the wind mill the tre open in 4 to 5 weeks. 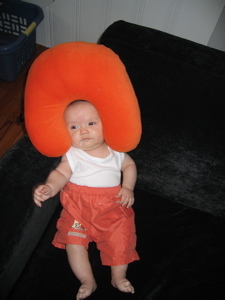 I go back to the days when the Zuffas owned the place. Miller Hot Dogs on a French Bakery roll. Pizza and Pierogis. Rudy did a credible job when he bought the place but it was never the way the Zuffas ran it. I wish the new guy the best of luck. I don’t get to Stratford much. But when I do, I always stop in for 2 with mustard, fried onions and sauce and a birch beer. Vazzy’s restaurant group took over the Windmill. So it’s still in operation but it lacks the charm and a little of the neighborhood vibe that the old place had. Yes they’ve got grilled dawgs with kraut & serviceable chili but the grilled kielbasa on real rye bread isn’t available. With their old meat supplier Millers of Stratford long gone and with most of the bar room regulars now in heaven don’t expect the same experience or eats that beckoned back in the 80’s. Still it’s good for a somewhat fractured walk down memory lane. I’m grateful that Vazzy’s kept the Windmill operating as one of the last old style residential family friendly bars in southern Connecticut. We miss you Teddy Slezak !